9th Avenue School: Making Kids Learn through P.L.A.Y. Join the next Smart Parenting Giveaway and get a chance to win exciting prizes! Kids with Special Needs First Non-Drug Device for Treating Kids With ADHD Gets the Green Light in the U.S. 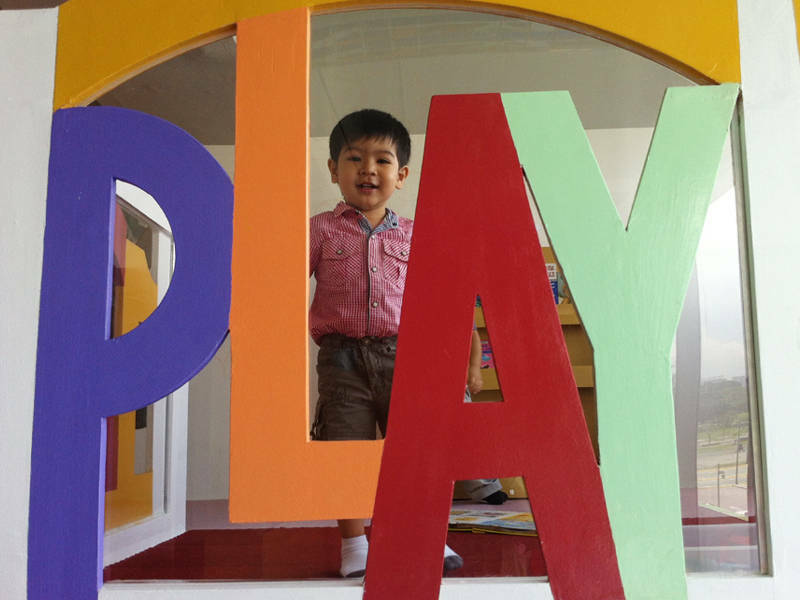 Through purposeful play, this school in Taguig engages kids in a creative learning environment. "We believe that children learn naturally through play, because when they're playing, they're engaged with the environment, their teacher, and the materials," said Teacher Tiffany. "Through play, they learn so many things -- from their physical to social to language skills -- as well as develop creativity. And what's so nice about it is it's not contrived. It's something the child will learn naturally, without much assistance from the teacher." Teacher Tiffany described the school's regular preschool programs as a mix of both structured and unstructured play. 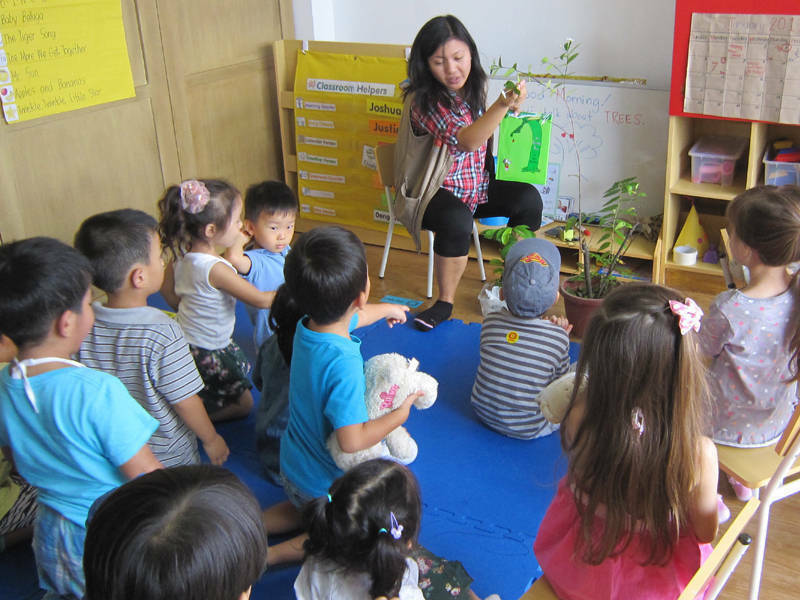 Structure comes in when the children sit down for "circle time" activities, wherein they sing songs and follow teacher-directed instructions. "Choice time," on the other hand, gives children the chance to roam around the classroom and keep themselves busy at the different learning centers laid out for them. This is the unstructured part of the curriculum. 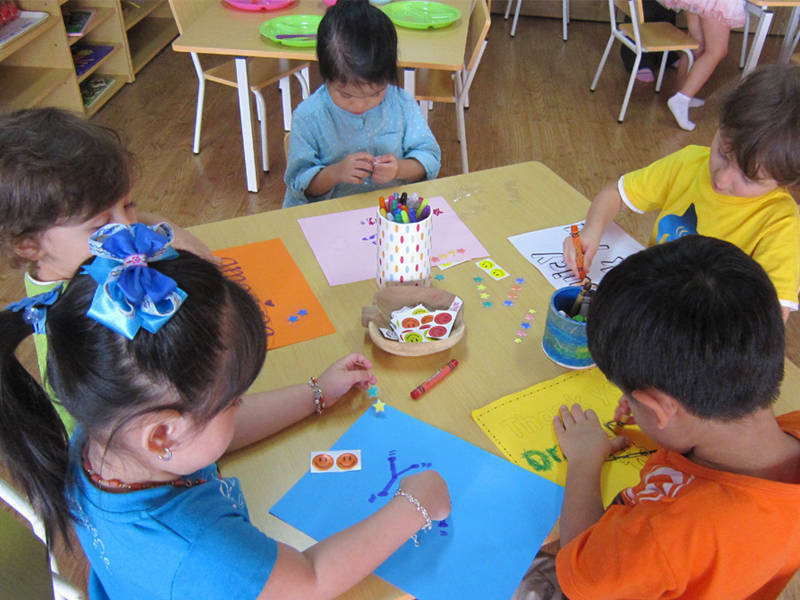 The children can enjoy the different centers, such as the writing table, which zones in on fine motor skills; the manipulatives table, which focuses on problem solving and early math skills; the art table, which teaches them creativity, symmetry, and aesthetics; and the play dough table, which builds hand muscles and coordination. 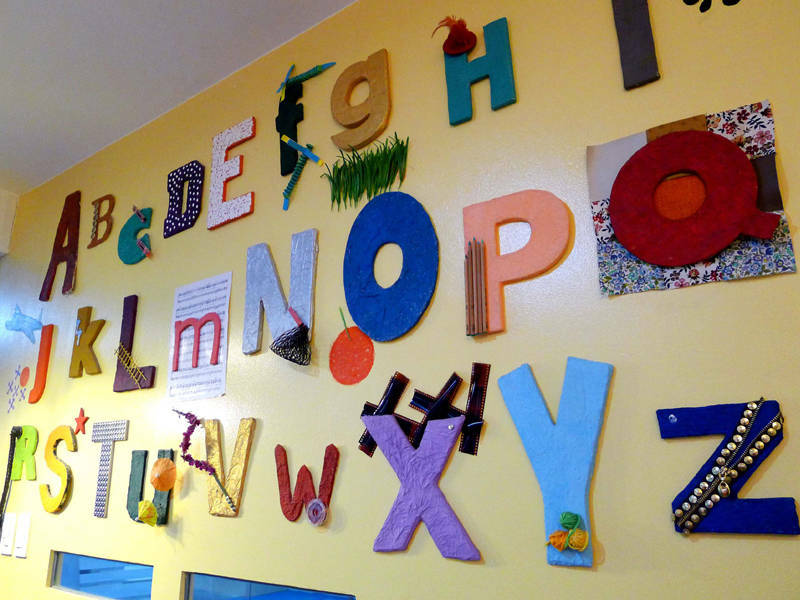 9th Avenue School offers regular preschool classes for children ages 2, 3, and 4, and accepts children with special needs. The school also has a part-time preschool program (i.e. 3 times a week), and a class for children aged 18-23 months. An extended-day program provides day care center services to parents and children looking for this sort of arrangement. Teacher Ina also offers the Orton-Gillingham method of reading, which is a multi-sensory approach to reading and writing intended primarily for children with learning difficulties and for students who want a more holistic reading experience. "We always invite parents to come and check out the school because the best way to find out if it's a good school is if the kids are happy," said Teacher Ina. And if their big smiles and playful shrieks are any indication, the children of 9th Avenue School sure are. 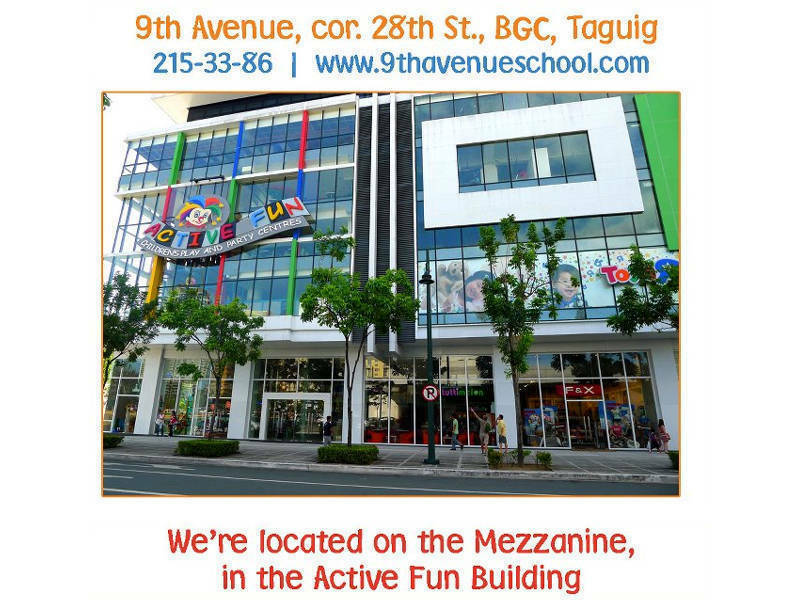 9th Avenue School is located at the mezzanine floor of the Active Fun Building, 9th Avenue corner 28th Street, Bonifacio Global City with contact numbers (0917)801-PLAY or 8561478. For more information, visit www.9thavenueschool.com or check out their Facebook page. Kids listen intently as the teacher discusses about plants. First, she advises to avoid the word regression altogether. See Family Moments at Dani Barretto Wedding: Cassy and Mavy Legaspi Were There! Here are the scenes from the Panlilio-Barretto wedding you may not have seen yet. Zero Screen Time for Babies Under 1 Year Old: Strict or Just Right? The World Health Organization has come up with its first-ever guidelines on screen time for kids. One homemade solution is made from items you will find right in your pantry! Without any formal culinary training, this dad has easy recipes to get his son to eat veggies. Andi Eigenmann encourages other preggos who have been having difficulty keeping fit to never give up! Jolina Magdangal and Mark Escueta Show Their Version of a Staycation! You don’t need to go far to create a fun family camping experience! Pregnancy Symptoms Week 33: Baby's Kicks Are Stronger Now! There's more baby than amniotic fluid in your uterus now, so those kicks feel sharper! If you're not too comfortable sleeping on your side, pregnancy pillows can help. Learn about the red flags of excessive screen time. Here are a few things moms who have gone through a Cesarean delivery didn't expect. The dad of two says he will do everything to help Marian recover from childbirth. Trip to Jerusalem? Newspaper Dance? These Classic Birthday Party Games Will Surely Be A Hit! 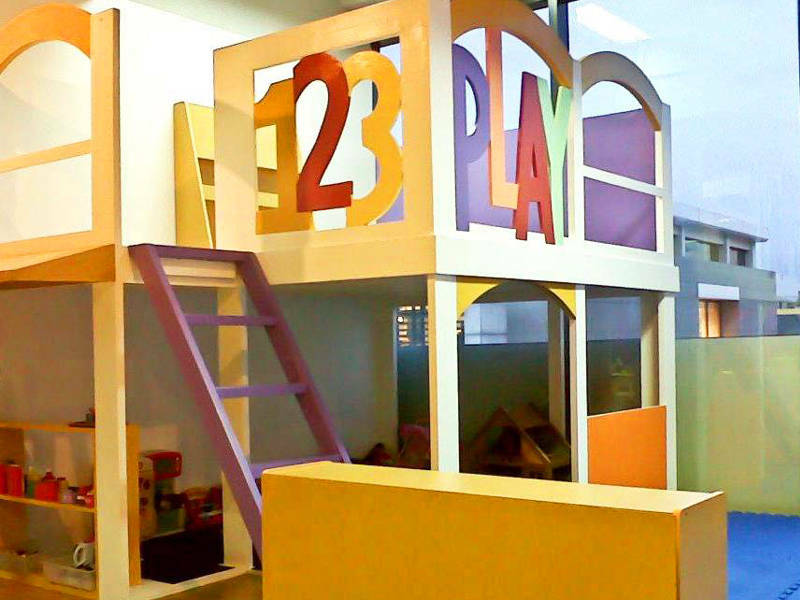 These Indoor Playgrounds Can Serve as Fun Birthday Party Venues! 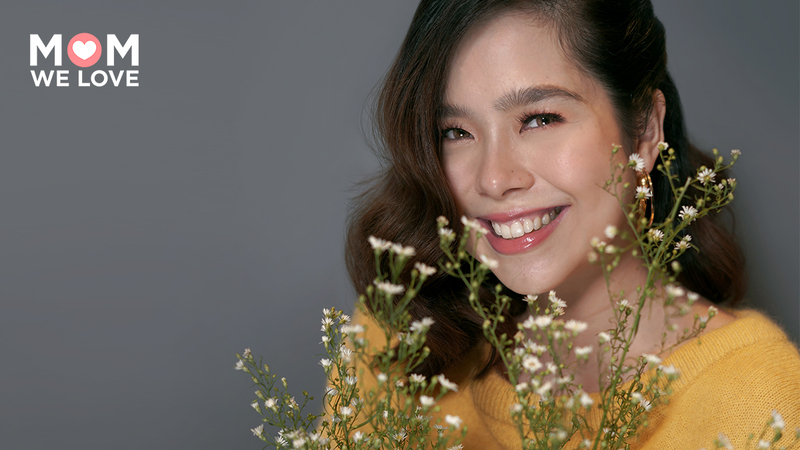 Saab Magalona on Weathering the Storms of Motherhood: 'It's Only Going to Get Better' The young mom talks about losing an angel, gaining a son and having a family she has dreamed of. Sign up today and be part of our SP Community to get exclusive access to our Smart Parenting Baby Showers, Annual Smart Parenting Convention, Monthly Promos, and more. *Try again or choose another option. Follow the steps below to reset your Smartparenting.com.ph password. Continue to reset your password on Smartparenting.com.ph.